We've All Seen it, Right? Somewhat Mixed Reviews On Deck! Whereas the first "Avengers" movie had absurdly-high expectations and actually delivered on them quite handily, this newest yarn seems to have reviewers a bit split. People love the special effects and quiet character moments, but some complain of it feeling bloated at its 2 and 1/2 hour running time, or worry about a sensation of character-overload from all the heroes and villains who appear (the Baron got very little screen time despite having a solid actor in the form of Ralph Fiennes). 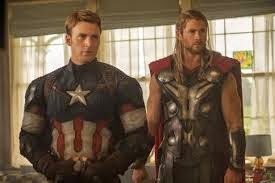 I myself do agree that toward the end when literally everything was happening at once it could be a bit chaotic, with me wondering, "Wait, Thor and Ultron have been fighting the whole time while everyone else did their thing?" but I still thought it was good to get some fresh faces thrown onto the screen. Some of the original cast won't be around forever, so having someone young who can play Scarlet Witch (Elizabeth Olsen) for the next couple of decades is a good plan considering folk such as Chris Evans have made it clear they don't want to still be playing super-heroes when they're eligible for Medicare. Even though to completely appreciate the Marvel Cinematic Universe you need to see all the films (well, maybe not "Incredible Hulk) this actually stands pretty well on its own as long as you've seen the first "Avengers" movie--and it's helpful to have seen "Captain America: The Winter Soldier" so you know why S.H.I.E.L.D. is no more and who Anthony Mackie's character is that hangs out with the Avengers (along with how that, "Missing person," he references is of course Bucky). That said, various characters get a mention here-or-there and maybe appear briefly (Idris Elba is always a treat to see), but you can basically watch this without having to know a ton about the movies. Even the brief mention of the Infinity Gems/Stones isn't too confusing, but does help to tie-in the otherwise yet-to-be-directly-important "Guardians of the Galaxy" to the other Marvel flicks. We have all made fun of Marvel for not having any good villains besides Loki. Their bad-guys seem to either die too fast (Red Skull) or be completely forgettable (that Elf-guy in Thor, the Kree in "Guardians of the Galaxy" who has a name I can't even remember now even though he's important in the comics). This trend is thankfully stopped or at least interrupted by Ultron. 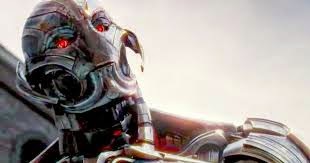 Voiced deliciously by James Spader, Ultron has a seething hatred for humanity you can hear through his quips and comments. 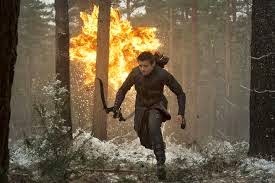 Even though he seems to be dead and gone at the end of the movie, it wouldn't surprise me if he pops back-up. As he says after getting shot full of bullets, "Bet you didn't see that coming." 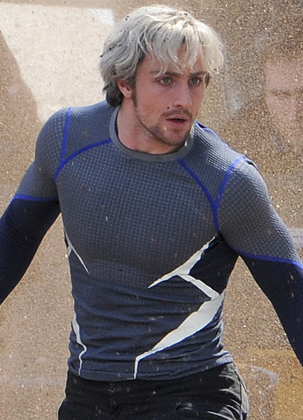 Yes, Quicksilver dies and even though there may be alternate footage where he survives, as far as the official Marvel Cinematic Universe goes he is no more for this world. While we have seemingly seen people die in the Marvel movies only to have it revealed they are alive and well, I actually could see this sticking, maybe. I'm honestly just glad Marvel introduced another female Avenger in the form of Quicksilver's sister, Scarlet Witch, considering how besides Black Widow there ain't much gender diversity on the team. I just was surprised Marvel had the gall to kill someone off considering how any of these characters are walking piggy-banks of merchandising. Then again, with Spider-Man appearing in a Marvel-movie before too long there should be plenty of money falling from the heavens shortly. I have seen multiple articles (here's one, and here's another!) 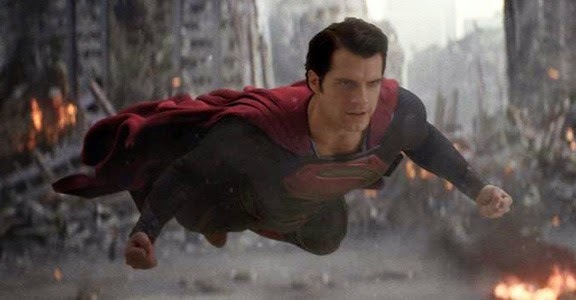 that point out how throughout the movie we witness the Avengers doing something Superman didn't do in "Man of Steel." Namely, they care about innocent lives and take great pains to make sure civilians are clear of conflict--expressing great concern at times regular folk find themselves in harm's way. Even a major plot element is how the team tries to evacuate the chunk of land Ultron wants to use as a weapon (this effort to save everyone of course leads to Quicksilver's aforementioned tragic death). In "Man of Steel" We see Metropolis be utterly decimated and its made clear a whole bunch of people die. It seems this may be an important plot-point of "Batman VS Superman", with the former using the destruction as an excuse to be mad at the latter, but it is kind of interesting to think that the traditional beacon of hope and all that is good (Superman) actually seems less concerned with human life than the Hulk (well besides in the mind-control scene where the Hulk freaks-out). 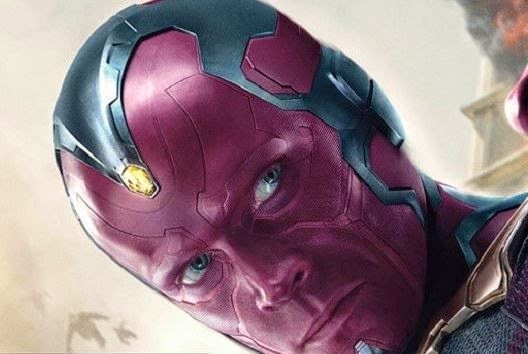 That really is all I have to say about Paul Bettany as the Vision. It was pretty neat. I loved when he just casually grabbed the hammer. That probably was when the theater I was in laughed the loudest with surprise. 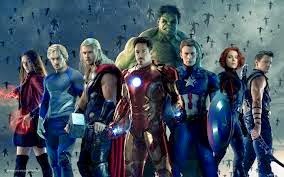 I really enjoyed "Avengers: Age of Ultron." 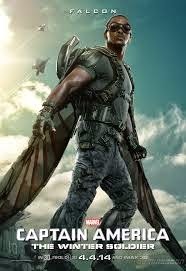 It may not be the best of the Marvel films, but is definitely in my own, "Top 5," of all the films. It has action, humor, quiet moments to compliment the many loud ones, and is otherwise a great time. Plus, most important of all (to Disney/Marvel, at least) it gets me excited for the future movies. ...Ronan, the Kree's name was Ronan! I knew I'd remember it eventually!